Virtual reality has generated countless headlines and news stories over the past two or three years. 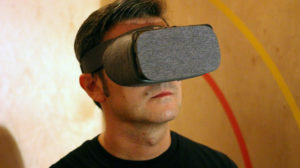 In fact, if you rewind back past all of the speculation and excitement that preceded the public unveiling of devices like the Oculus Rift, VR has been making headlines for longer than that. Even so however, the overarching focus tends to be relatively narrow. We read about the people and technology behind the devices, the latest VR video games, and we see brief mentions of VR disrupting areas like healthcare, driver training, or even the arts. Basically, we get a nice smattering of VR’s potential uses without a lot of specific focus on anything besides the tech and the games. This can make it hard to see where virtual reality really appears to have significant growth potential – which is what we’re looking at in this piece. To some extent this is still speculative. It could well be the case that VR’s biggest and most influential applications just aren’t apparent yet, and that we’ll all be very surprised in a few years with where VR has made itself commonplace, which has happened with major tech developments before. As things currently stand though, these are three potential VR “booms” that probably aren’t getting enough attention as major applications. Some have proclaimed that virtual reality (and augmented reality) will be the death of pop-up ads and pre-roll videos. That sounds pretty great, doesn’t it? But of course, one form of advertising seldom dies without giving way to another, and the point here is that VR and AR seem very likely to spark a whole new style of ad. Basically, digital advertising as we have long known it is already struggling, and VR and AR are already starting to showcase their respective abilities to show off products. We’re in the very early days of what appears to be a revolution in more interactive versions of digital ads that will – hopefully – show us more of what we want to see and less of what’s been paid for behind the scenes online. We mentioned that we do tend to hear quite a bit about the latest virtual reality games. But this is with respect to fairly traditional gaming genres: racing, shooting, adventure, etc. The same types of games people have long enjoyed on consoles and mobile devices are the ones that have proven most ripe for virtual reality, and they dominate the headlines. However, don’t discount the impact of casino games on VR also. There are several prominent games in this category already, and there will only be more over time. People will increasingly have the opportunity to place real money bets on games and competitions taking place in VR, which will mean a great deal more interest – and investment – in VR as a medium. We’ve begun to hear quite a lot about the fact that VR is bringing the concept of public arcades back from the dead. An arcade provides expensive and specialized equipment that makes it easier for the average person to enjoy VR, and for this reason we’re reading that these arcades are already playing a leading role in the consumer market. Now we have to ask: couldn’t the same thing happen with gyms? VR-infused workout equipment has already been invented, and will likely be perfected in the coming year or so. This would seem to make it highly likely that VR exercise machines will begin to be included in existing gyms, and we may even see the opening of all-new VR gyms. Fitness could be a sort of sleeping giant in the VR economy. Just be sure to wipe down the headset after use, gym bunnies.